I frequently try to take the best care of my skin so I don’t need to cover it up with makeup. I’m determined to do all I can to make it the best it can be as I get older. When you work in beauty, you get to see a lot of new launches and products throughout the year. Here are two standout eye care products that have been working great for protecting my eyes, preventing the signs of aging & getting that lit-from-within glow (no concealer needed!). As some of you may know the eye area is one of the first places where you’ll notice signs of ageing. 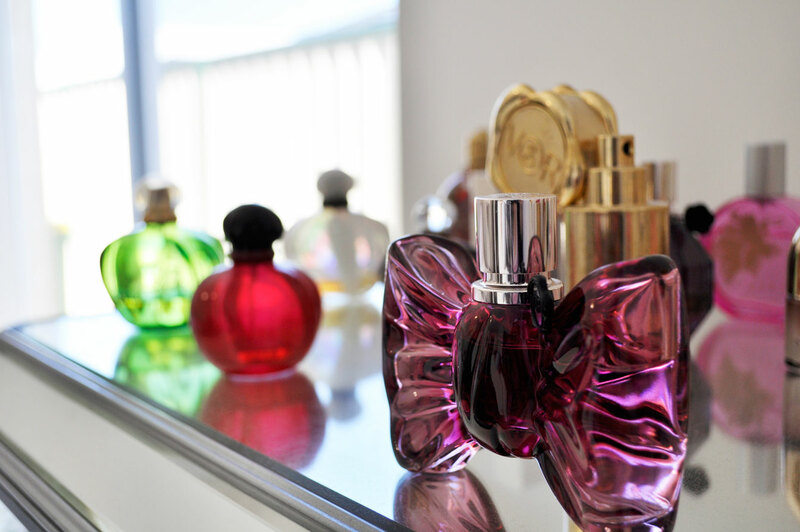 House of Immortelle has you covered in that department. 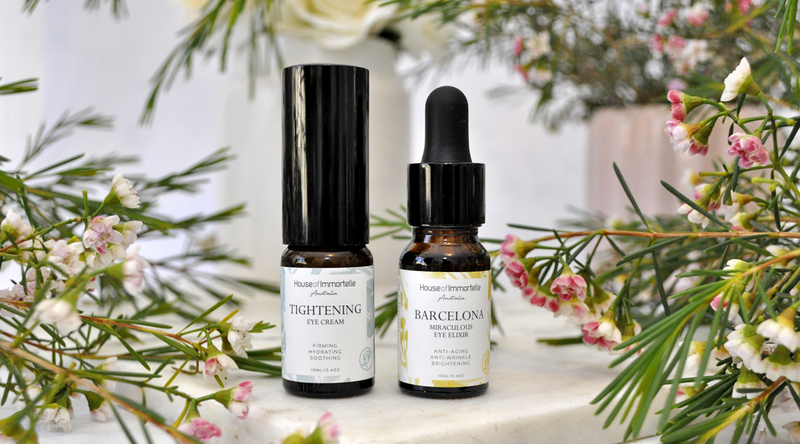 Their Barcelona Miraculous Eye Elixir and Tightening Eye Cream are powered by the skin healing properties of nature-inspired and aromatherapy based beauty essentials. Their skincare products are made in Australia, they’re all natural, planet and animal-friendly, free from artificial fragrances, colouring, harsh ingredients and preservatives. 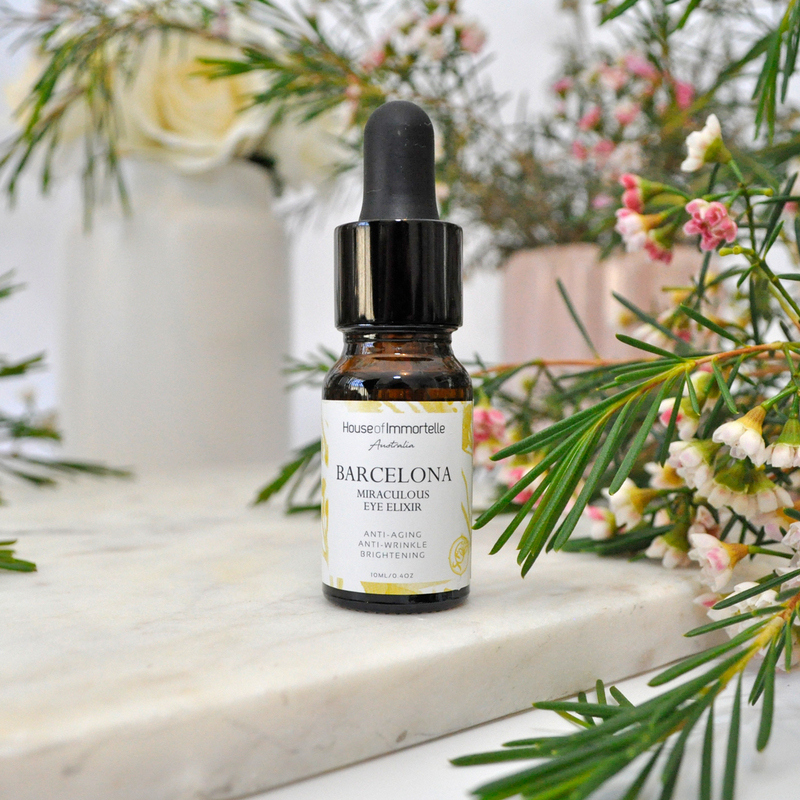 I’m very into the Barcelona Miraculous Eye Elixir right now, I love that it soothes my eye area and leaves a noticeable radiance after a short time of use. 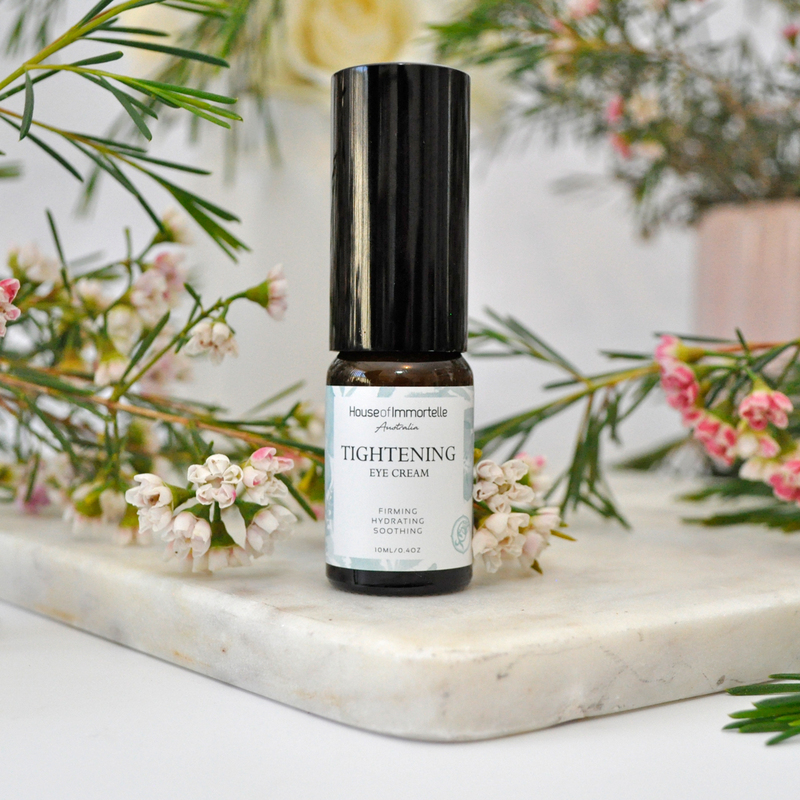 This non-greasy super hydrating and brightening formula contains a powerful blend of rosehip seed, blueberry, immortelle, frankincense, arnica, comfrey, seabuckthorn and cypress, to reduces puffiness, fine lines, wrinkles, dark circles and dryness. How to use: Dab on two drops of eye serum under each eye in the morning and night. Ideal to use for an eye massage or before putting on an eye mask. You can apply it on its own or before using your eye cream. My eyes tend to get sore at the end of the night and puffy in the morning all due to my hay fever and allergies around this time of the year. I find this gently nourishing Tightening Eye Cream to be really soothing and calming on the skin. The potent blend is formulated with a generous dose of immortelle, horsetail and cypress. It helps to address the loss of firmness, prevents dehydration and reduces fine lines and puffiness around the eyes. How to use: Apply twice daily, gently dab onto the freshly cleansed skin around the eye area and massage gently until absorbed. What are some of your favourite eye care products? Let me know in the comments below. Ooo the eye elixir sounds so lovely! I need to try! 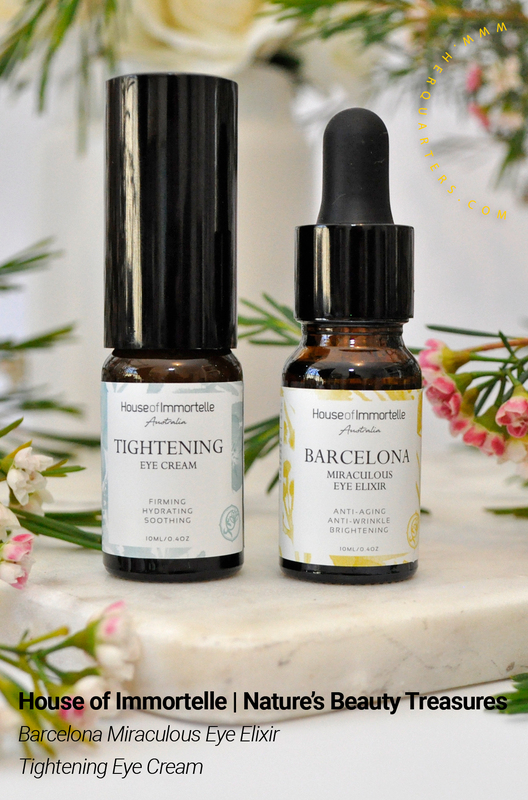 The Barcelona Miraculous Eye Elixir is their bestseller, it’s a game changer! The Tightening one sounds like something I could use for sure! I’d love my eye area to be firmer. The tightening cream is great for firming and protecting the delicate skin surrounding the eyes. I love it! That sounds like such a power duo – my under eyes need all the help they can get!